With this home being located within a short distance to the Lake and the Beach it was sure to find a new owner quickly and it did. Dawn Kephart relisted this home from our Expired Farming and got the Seller to where she wanted to be. SOLD! Congratulations to all parties! Please welcome the new owners to the neighborhood. We hope they love their new home and Community. Emerald Lakes has a lot to offer. Bobbie, That's a lot of home for the price! Congrats to all involved! Congratulations on your SOLD Property! Good morning REALTOR Bobbie J Smith. A big congrats on getting this great home sold that is located at 120 Cinnamon TrailLong Pond, PA 18334. 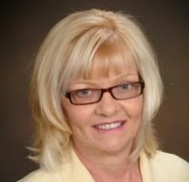 Bobbie Smith the REALTOR in the know and on the go! Bobbie, This home looks like it sure offered a lot of living space for such an affordable price. Terrific post and fine information. Have a fantastic day ahead and great week. Hi Bliz, It really is. The Buyer got a really good deal here. Thanks. Hi Aaron, Thanks so much. Hi Barbara, You know I will, thanks to your words of advice. Hi John, Thank you. Appreciate the "plug"
Hi Alexandra, It really is a unique home and not your typical "cookie cutter" home. Hi Sam, It sure did. A lot of home in a Lovely community for the price. Congrats on the sale of 120 Cinnamon Trail in Long Pond, PA, Bobbie. Another job well done! Hi Gabe, Thanks so much. We appreciate the support.